In the latest issue 9 of Changi Journeys, Changi Airport Group’s monthly e-newsletter, an article featured the recent installation of a new Video-based Parking Guidance System (VPGS) across the different car parks in the airport. 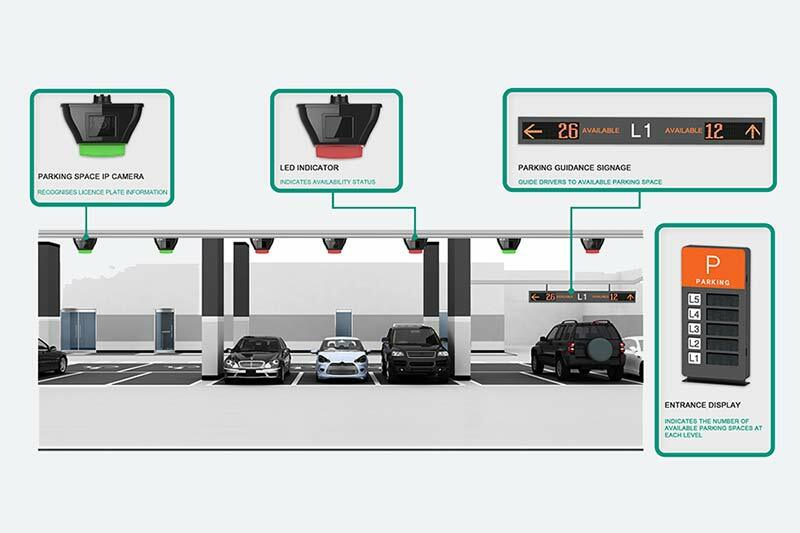 This new system – the first of its kind in Singapore in a large-scale parking facility – is designed to improve car park management and provide a stress-free parking experience for visitors. By using video analytics to identify license plate numbers, as well as detect vehicle presence and the entry and exit timings of all parked vehicles, VPGS helps to monitor the status of the car park in real-time. The VPGS also helps to enhance security and offers added CCTV coverage of all car park spaces. This additional coverage also acts as round the clock surveillance to offer drivers and airport visitors a peace of mind and greater security. With the new VPGS, car park management will also be improved – instead of labourious patrols around the car parks, officers now receive alerts on errant practices by drivers, such as illegal parking and abuse of pick-up spaces, and are able to respond in a targeted manner. A common issue for motorists is forgetting about where they have parked their vehicles, especially in huge multiple floor parking areas. The VPGS offers a solution to that – motorists can simply give their license plate numbers to the roving Changi Experience agents or over the information counters, and they will be able to identify the exact parked location of the motorist’s vehicle.